Some stats for Feral Cat trapping for July and August. Consistent with previous years these are very lean months for Feral Cat trapping in our area. However the traps we have lent to the “Glenroy initiative” have been successful. Last year a person who was working on pest control in the Glenroy Valley, with our help, established a group of locals, similar to ours, using traps we lent them. Last year they caught a similar number of feral cats to us – 85 in the Glenroy and we caught 81 locally and 2 in the Wairau valley. One cat was caught in Big Bush and as it was not looking very feral, just annoyed, after a few days we tracked down its owner, a recent addition to the community, and returned the cat unharmed. Glenroy:- July - -- August 13. Total for the year for Glenroy - 13. A GPS transmitter was attached to a feral cat to check its movements. In the first night it travelled 16 km. Trapping has slowed done for the winter in the RNRP with low numbers of animals being caught. Trap checks have been scaled back as a result and we are currently only checking traps either monthly or two monthly. Things will start to pick up again though and from October we will be back onto monthly checks for all traps. Winter is the time of year where we get all our reporting work done. The Annual report that details all activities undertaken in the project from June 2016 to July 2017 is now in the first draft stage and should be finished very soon! As well as this we held our Technical Advisory Group meeting in August with scientists from Nelson, Wellington, Hamilton and Christchurch attending. Presentations were made on each aspect of the RNRPs work with feedback sought on the direction each of these projects is to take in the future as well as the overall direction of the project. Peter Hale presented for the Friends of Rotoiti. Some good discussion was had and we now have a clearer direction for the future. FOR volunteers continue to carry out fortnightly monitoring of kiwi by collecting data-streams which record the activity level of the birds. This is an important time of year as kiwi will be starting to nest so it is important that monitoring is undertaken regularly so we can pick up any pairs that have started nesting and get trail cameras up to monitor. As reported in the community newsletter protection around kea nests in the Raglan Range, St Arnaud Range and Travers Range kicked off for the year in July. Corey Mosen and Emma McCool have been monitoring the kea nest sites for activity and have observed this at 3 of the 5 protected nests. The focus now will be on these 3 active nests and providing protection from stoats and possums so that we can give these nesting kea the best chance possible of fledging chicks. This work will continue through the spring until the kea have left the nest. With the quieter months on us Emma McCool, Gareth and Athow have been out chainsawing the windfall along traplines and wasp control lines. Once this work is finished these lines will be much quicker and easier to get around. We have also spent time tidying up the wasp control grid in Big Bush. 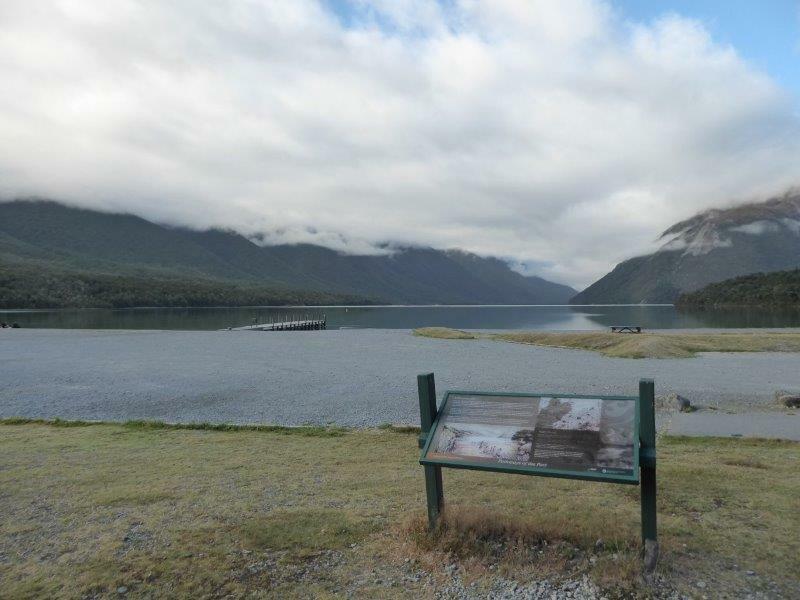 Monitoring of rodent activity was undertaken at Rotoiti and Lake Rotoroa in August to determine how our rat activity was tracking. Tracking was 26% in the RNRP and 0% at Lake Rotoroa. Results are usually higher in the RNRP that Rotoroa as controlling stoats reduces predation and allows the rat population to increase while at Lake Rotoroa the high stoat population keeps the rat population low when there are limited food sources for rats. Pat has installed a new tracking tunnel monitoring line on Black Hill and Wayne and Pip carried out rodent monitoring on this line and two other lines around the village and recorded 0% rat tracking and 27% mouse. Our annual robin census is currently underway in the RNRP with a set number of lines being walked once a week to count the number of robins along it. This is used to monitor how the robin population is responding to rat control within this area and data has been collected since 1998. We are currently halfway through the census with another 2 surveys to be completed.